At Diamond Fun Casino we provide an authentic casino experience. What you will experience with our gaming tables is what you will see in the real casinos both in the UK and abroad. Apart from understanding how to play the casino games it is worth arming yourselves with the knowledge of standard worldwide casino etiquette. It can be somewhat daunting to walk into a real casino without understanding a few of the basic etiquette rules. 1. No selfies! The only ones permitted to record images in real casinos are the security personnel who will be watching your every move on the gaming floor. 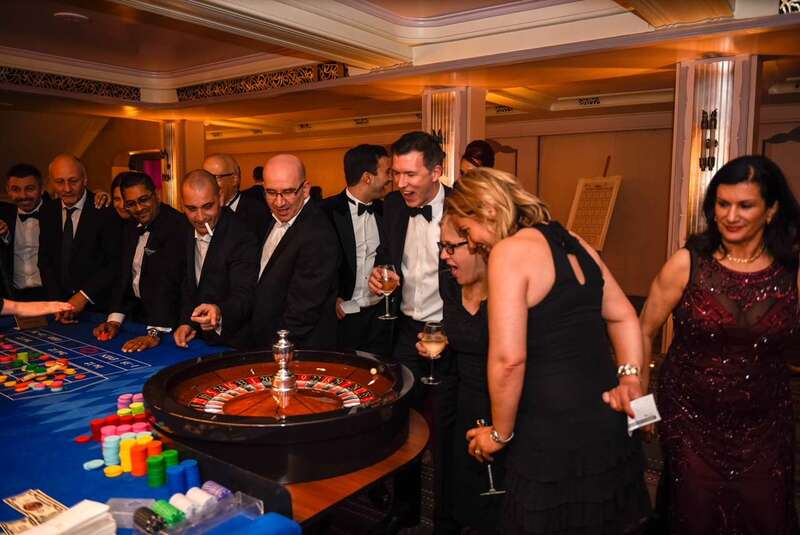 This is perhaps the main difference between the real casinos and our fun casino, we love it with our fun casino when a photographer snaps those moments of joy & pain in the players face when the roulette ball drops into a number or a card turns over on the blackjack or poker table. 2. Turn your phone off. You cannot use your phone while playing in a real casino. Fun casino? We don’t mind at all, especially when you are taking photos of your fellow players as above in number 1. 3. Choose your gaming table wisely. With our fun casino everyone will be able to afford to play at any table as the gaming is always for fun and never for personal monetary gain, but in the real casinos you need to be aware of the table minimums. This is the minimum bet amount permitted at each individual table. It can vary quite dramatically from casino to casino. At the blackjack table for example it could be as low as £3 a hand, at other tables the minimum bet could be much higher, at £25, £100, £500 or more. The minimum & maximum bets permitted will be clearly displayed at the individual table. 4. Time to play. Croupiers cannot have any contact with a player whatsoever, so place your cash or card on the table layout in front of you, the croupier will take it off the table and change into chips for you. The croupier will change your money as soon as he is able to but if they are in the middle of a pay-out your change will wait until the winning bets have been paid and losing bets been taken. For our fun casino as it is not for real money we can relax more with the contact rules and croupiers will happily high five the winning players! 5. When a game is in play, you cannot touch your chips, ever! For any reason! At blackjack if you want to double or split your cards place your bet increase next to your original stake and the croupier will check the amount. The croupier will also be the only one to handle the blackjack playing cards, do not touch them either. When your bet is paid out you cannot remove the winning chips from a roulette number until the dolly (or marker) has been removed from it and on card games wait until the croupier has finished paying out before you take your chips back. It also goes without saying that you must not touch or handle other player’s chips ; it is not helpful to another player to remove his winning chips when actually he may well want to leave his chips there for the next spin for example. If the same number came in and he thought his chip was still there you are not going to be very popular. 6. At the blackjack table indicate to the croupier that you would like another card to your hand by tapping the table. If you do not want further cards wave your hand. This action is clearly identified by both the croupier and by security and it prevents cards being dealt in error because the croupier has misheard you. For our fun casino you can tell us hold, card, stick, twist or hit me if you feel the urge! 7. When you have finished play and want to leave the table you must ask the croupier to cash you out. They cannot give you cash back but they will condense your winnings into as few high value chips as possible which you then need to convert into cash at the cash desk. Particularly the roulette chips, as they are individual to the particular table you are playing at they cannot be used in play at any other table. 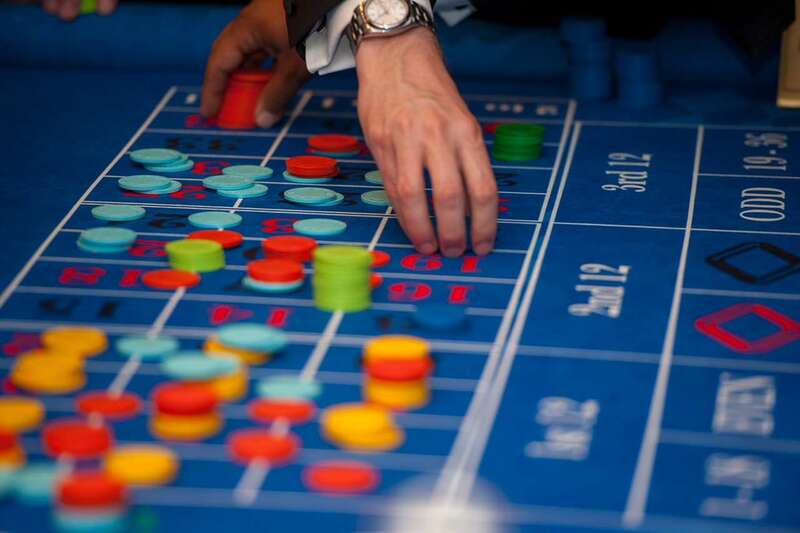 The roulette point here is also valid with our fun casino, the cash out difference being that the croupier will write you a cheque for your chips which you can then use at another table to play with. If you disappear with an armful of chips that means the next person cannot play that same colour because they have all disappeared from the table. 8. Be patient. Especially on a busy roulette table. When multiple players chips are on the winning number the winners will get paid out in a specific pre-ordained order ; even money bets first then continuing in pay-out order up to a straight up pay-out of 35-1. While the dolly (or marker) is still on the winning number the croupier is still working on the pay-outs, you do not need to remind them that you haven’t been paid yet. They know! 9. At any gaming table and particularly roulette do not throw chips onto the layout. Doing so could knock off fellow player’s bets or bounce off the table. If you cannot reach a number the croupier will happily place the bet for you. Place the chips to the side of the numbered layout and announce to the croupier what number you would like. Just say the number or numbers. If you want a chip on a corner or any other bet that involves multiple numbers simply announce the lowest and highest number together. So for example to place a chip on the corner of numbers 29, 30, 32 & 33 just tell the croupier 29,33 and he will know exactly where you want it. 10. If you want multiple bets placed on roulette, on for example 0, 3, 5 & 7 straight ups just put the 4 chips down together and say the four numbers all in one go. Picking them off for the croupier one by one is too time consuming for this fast paced game. 11. If you holiday in Las Vegas or on cruise ships with under 21 year olds there will be many occasions where you need to walk through casino areas to get from A to B. The right thing to do is just to keep walking, don’t allow children to stop and linger in the gaming areas. With our fun casino the gaming is for entertainment and we are happy for supervised children to be at the gaming tables. It’s great for their maths! 12. Use the side tables provided for drinks, or if cup holders are provided on the tables use those. A drink spilt onto the gaming table will result in it being closed while it is cleaned up. You wouldn’t place a drink on a pool table’s baize – likewise don’t place it on the baize of a gaming table. 13. Tipping is as much etiquette in real casinos as it is in restaurants. Nothing gets the good vibes going around a casino table as much as the regular ting! of the tip bell. 14. No more casino etiquette tips – but we couldn’t leave it at number thirteen, that’s just unlucky! Fun casinos are just that – fun. Great fun in fact. Real casinos can also be good fun but know your limits, only take what you are prepared to lose, don’t chase your losses and drink responsibly.